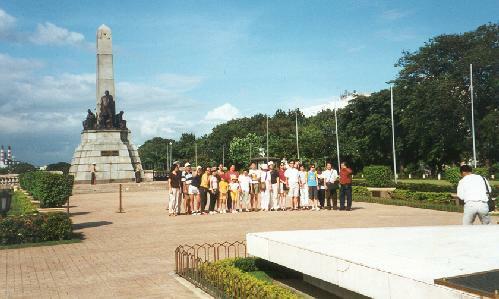 - The Rizal Monument - Tourists get their photo taken in front of the monument for the National Hero, Jose Rizal. Located in the park also named after him, it is the geographical center from which distances to all Philippine towns and landmarks are measured. 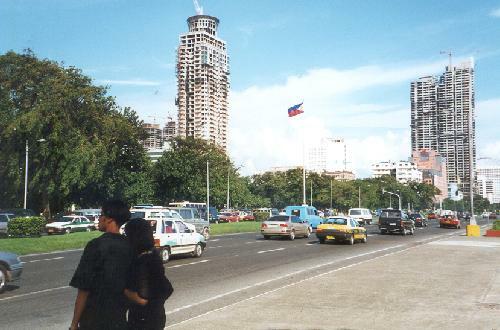 - Manila Skyline - New condominiums rise above Roxas Boulevard near Rizal Park. 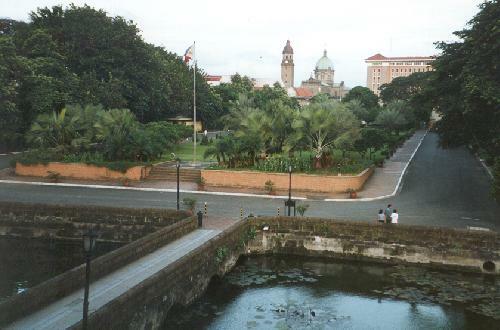 - Intramuros - Looking towards the Manila Cathedral from Fort Santiago. 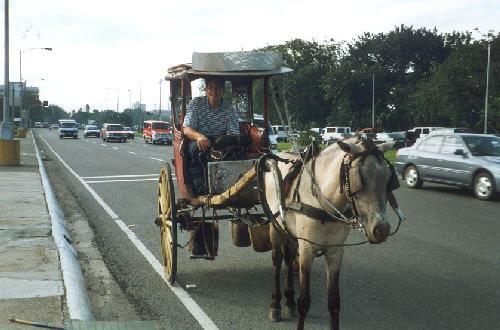 Intramuros is the original walled city of Manila occupied by the Spanish for some 300 years. Fort Santiago was where Jose Rizal was imprisoned prior to his execution. Other heroes, the Filipino Resistance fighters during the Japanese occupation, were imprisoned here as well (including my grandfather). The water in the foreground is part of the fort's moat.